The Rome metro (Metropolitana) can be a convenient and fast way to get around Rome. I took this photo in a rare moment. The Rome Metro is usually not this empty! The metro runs from 5:30am to 11:30pm Sunday to Thursday, and until 1:30am on Friday and Saturday. This is prime pickpocket territory. Always hold on tight to your stuff, and keep wallets and money out of reach. Trains come along about every 3-4 minutes. During typical rush hours, and very busy tourist seasons, the trains can be very crowded. I always try to go to the very end of the platform to get on the last (or first) car, in hopes of it being less crowded. Most Metro stations may be accessed from multiple street corners. Look for the big M.
Below is a map of the subway (underground) system in Rome. The red line (shown kind of orange here), crosses the blue line at Termini. The green line is the new line C, which is coming along nicely. Where it's dashed, it means it's still under construction. Map of Rome's metro system, showing lines A, B, and C. Courtesy of metropolitanadiroma.it. Rome Metro - Where Can it Take you? The Metro can be very useful for getting to and from certain major tourist attractions in Rome. But if you look at a map of the Metro superimposed on a Rome city map (below), you will notice that there is a huge section of the center of historic Rome where the Rome Metro does not go. Can you guess why? It's full of ruins! Every time they try to dig, they find more ancient stuff. That said, they are working on a long-term project to add a third line, C, which, among other conveniences, will take people from the Basilica of San Giovanni to the Coliseum to the Vatican. San Giovanni to the southeast (where you can visit another of Rome's four major basilicas, San Giovanni in Laterano, or Saint John in Latern. Also a popular inexpensive neighbourhood to stay while in Rome). Barberini to the northwest (easy access to the Trevi Fountain and the via Veneto). Spagna to the northwest (Spanish Steps). Flaminio to the northwest (Piazza del Popolo, also a tram stop for taking you further north). Tiburtina to the northeast (where the newest Rome train station is). Circo Massimo to the southwest (the stop after the Colosseum, where you can visit the Palatine Hill, the Aventine Hill and the Caracalla Baths). Piramide to the southwest (where you may visit Eataly, or get on another local train to Ostia to visit either the ruins there, or the beach). Basilica San Paolo to the southwest (one of the four major basilicas, this one is worth a visit just to see the images of every pope since Saint Peter, lining the walls all around the interior). You will not be able to use the metro in Rome to easily access the Trevi Fountain, Pantheon, Piazza Navona, Largo Argentina or Campi di Fiori, among other important tourist attractions. It also does not go to Trastevere. But there are buses and trams so you can use those, alone or combined with the metro...or walk! If you want to take a taxi, find out all about how to get one and what they cost here. BIT ticket (one-time use) - The most basic one-way metro ticket costs 1.50€. For this ticket, you are allowed to change train or bus once (same direction, not round-trip.) It's valid for 100 minutes from the moment you validate it. Roma24 - You may also buy a 7€ pass, which is valid for unlimited use for 24 hours from the moment you validate it. So if you will use the bus/metro more than 4 times in one day, this could be worthwhile. Roma48 - You may also buy a 12.50€ pass, which is valid for unlimited use for 48 hours from the moment you validate it. Roma72 - If you want a 3-day metro/bus pass, it costs 18€. It's good for unlimited bus/metro use around Rome from and including the day you validate it, for 72 hours from the moment you validate it. CIS ticket (7-day use) A 7-day pass costs 24€, and is good for unlimited travel on the buses and metro in Rome from and including the day you validate it, until midnight of the 7th day. Roma Pass (tourist package) - You may also consider getting the Roma Pass, which allows for unlimited travel on Rome's bus and metro system for a 2 or 3 day period, depending on the pass. 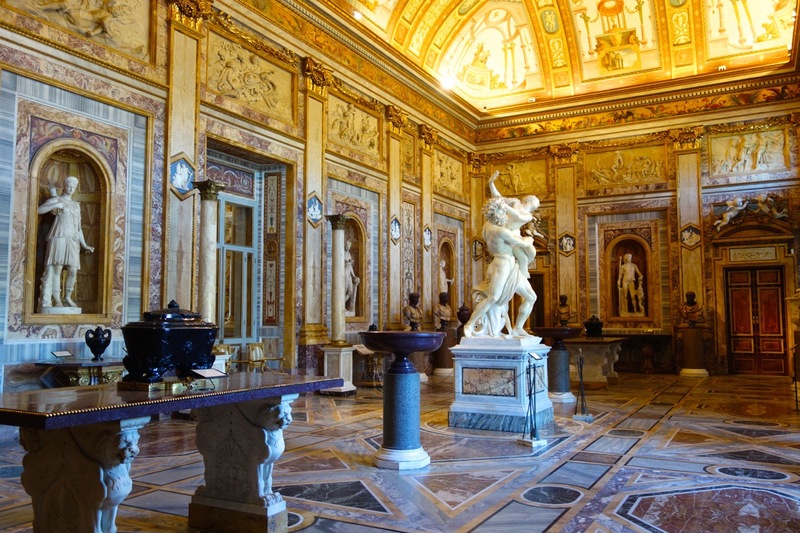 It also gives you discounted rates to many of Rome's museums and archaeological sites. Click here to visit my Roma Pass page. For more information, visit the ATAC website, Rome's official public transportation portal. Unfortunately the site does not work well in English. Children 10 and younger may use Rome's public transportation free, as long as they are accompanied by an adult. There are no discounts for the elderly or for the disabled (unless you are a Rome resident, and purchase an annual ticket). You may buy several tickets at once. They last for months if not years, until the moment of validation. So if you know you want to have, say, 4 tickets for your stay in Rome, you can just get them all at the same time. You can easily buy metro/bus tickets from tabacchi (tobacco shops), or at the green newsstand kiosks you see around Rome. You may also purchase metro tickets inside any Rome metro station. There are a very few buses that have a little ticket machine on them. But I would not count on this. It might not be working, or might just randomly not be there! It's really best to have purchased your tickets before you board any type of public transportation in Rome. To enter the subway, and validate your ticket, insert it into the machine, with the stripe facing up and the arrow facing into the machine. This part is just as important: when the ticket is validated, it pops back up. You must take the ticket with you, and keep it with you until you have fully exited the metro system! Never enter the metro or bus system of Rome without a validated ticket. You will risk a hefty (50€ minimum) fine. And playing the ignorant tourist will get you nowhere. Trust me I have witnessed this in action. If you have a Roma Pass, press it against the yellow dot. The gates will open. Return to the top of Rome Metro.